Brewers News - Howzat?! Cricket Fans Don't Want To Miss This! How would you like to be at one of the hottest matches in the 2019 ICC Cricket World Cup?! Owing to their current good form, the hosts are one of the bookies favourites to lift the trophy but you can guarantee rivals from around the globe will be doing everything they can to disrupt them on home soil! 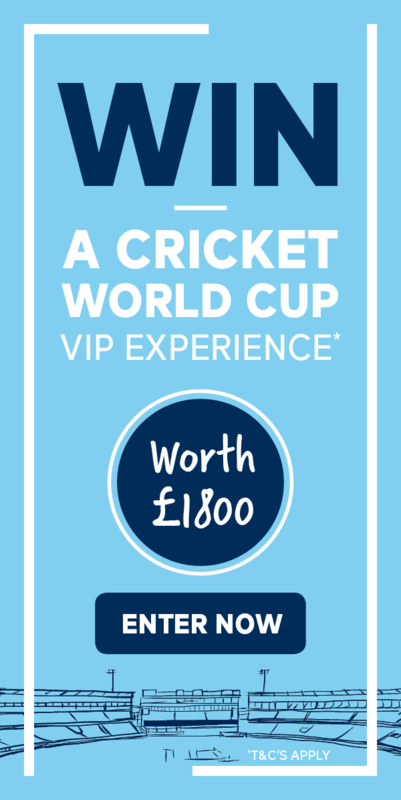 Don't miss your chance to be part of the excitement by entering our competition to win tickets to the England v Sri Lanka match being held at the beautiful Headingley ground. Not only that, the lucky winner will receive access to the brand new fully refurbished top of the range facility the Directors Club, located on the top floor of the Headingley Pavillon. With champagne reception, breakfast on arrival, three course a la carte meal plus a premium complimentary bar, the view from VIP style cushioned balcony seating will be even sweeter! Your accommodation is also taken care of with a two night stay in Leeds in a luxury hotel suite. Make sure you enter before 12pm on Friday 7th June to be in with a chance to win!